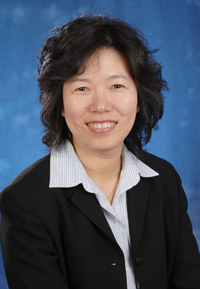 Dr. Bin Li taught at an Information Management Program at Beijing Foreign Studies University in China before she came to the US for her doctoral studies. After she got her PhD and taught as a teaching fellow in the University of North Carolina at Chapel Hill, she joined the faculty at LISP of Wayne State University. She currently teaches courses in information science area, such as Human Information Behavior, Database Management and Design, and Information Technology. She does research in social aspects of technology implementation, and information seeking.